I'm lucky in that I live in a place which is something of a stronghold for the Hawfinch, but that often doesn't seem to make it any easier to photograph them. They're definitely my favourite member of the finch family. 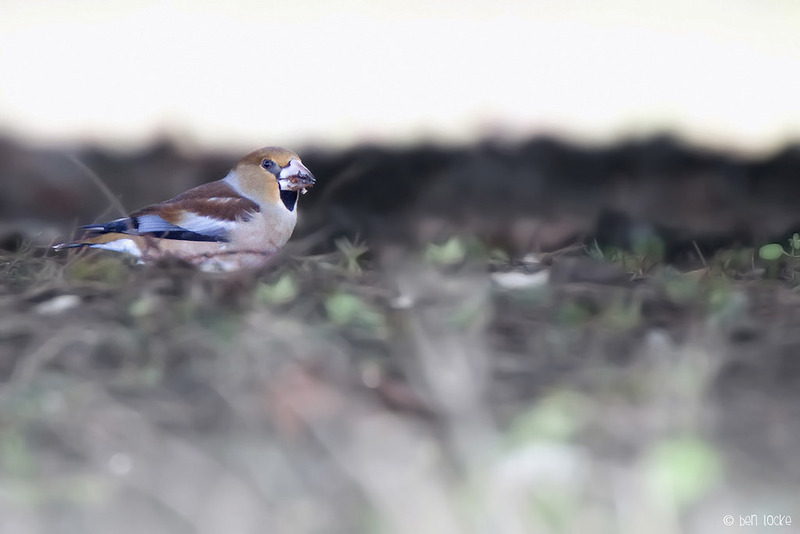 This photo belies just how dark it was when I took it, which in my experience with Hawfinch is typical - they're always too high in the canopy, or in the shade, feeding underneath it. This one was under a large yew tree, which was doing a great job of letting no light penetrate through it!